Do you have heaps of clothes but nothing to wear? Are you trapped wearing the same old colours and styles and aren't confident in what else might work for you? Do you have a big event coming up, or a new job, and need clothes that suit on a budget? Then Style for Real Women is for you. 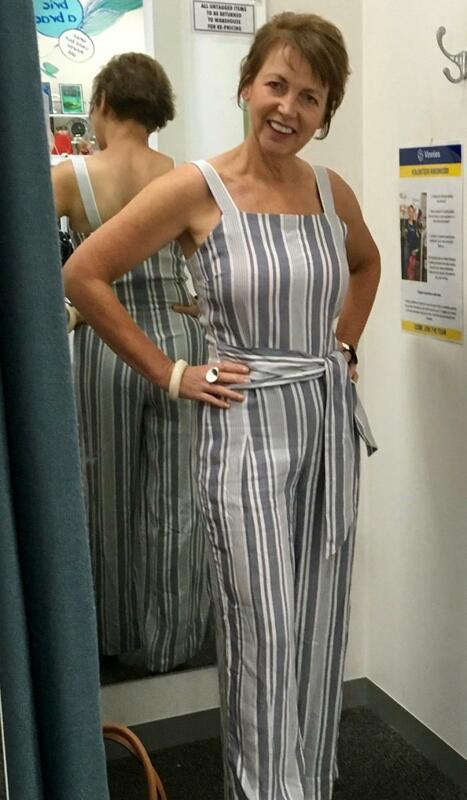 Fiona Bassett is an experienced Personal Stylist and Personal Shopper and has launched the exclusive Style for Real Women Campaign at the Ringwood Vinnies store. Each Saturday, Fiona helps shoppers put outfits together from the huge range of quality pre-loved items available at budget prices. Best of all, the program comes at no additional cost to shoppers and is a completely complimentary service. "I take great pleasure in helping people put outfits together from whatever is available. I help women find a unique clothing style and identify staple items that will revolutionise what their wardrobe, whether it be a single item or a complete capsule wardrobe. I can help make the most of what women own or update their wardrobes to replenish with pre-loved items to make them feel fabulous." Fiona has won praise from customers for her styling skills and enthusiasm. She works with shoppers of all ages, shapes, sizes and budgets and focuses on making the experience fun and confidence-building. "I often hear clients say that they hate clothes shopping. They can't find clothing in the right colour, size or style, or they don't know what suits them, or what goes with what. Or they buy things and never wear them... I understand." The focus is to help shoppers dress for their body shape in the styles, colours and silhouettes that will make them look and feel their best, with a newfound confidence. Fiona aims to create a positive experience in store, inspiring women to have fun and look fabulous. Vinnies Ringwood is open 7 days and located at 2/82 Maroondah Highway, Ringwood VIC 3134.